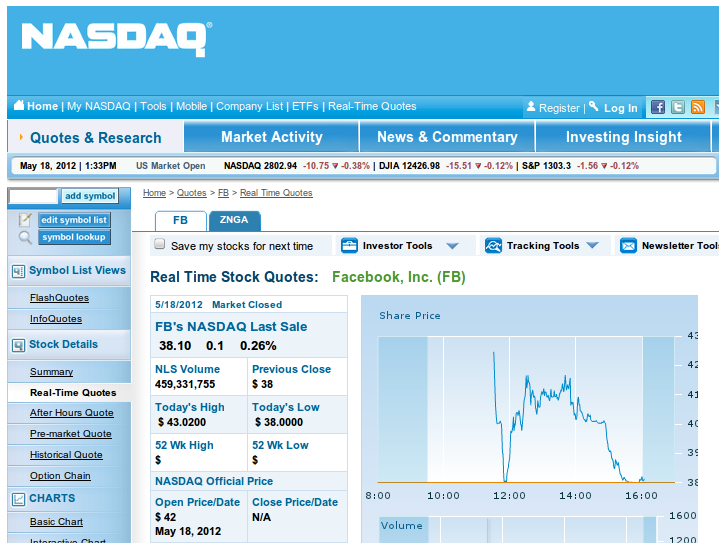 Facebook has got what it wanted, today - a $100 billion valuation at the IPO. But despite lofty expectations, the price virtually hasn't changed from the offering price. 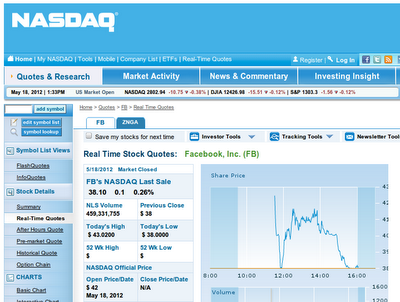 The time will tell, what growth potential, if any, there is in Facebook shares. Taking into consideration the existing penetration of the service, Facebook will most probably need to grow by extracting more value from the users rather than by significantly increasing their number.